Franklin Matters: Celebrate the ABLE in all of us! 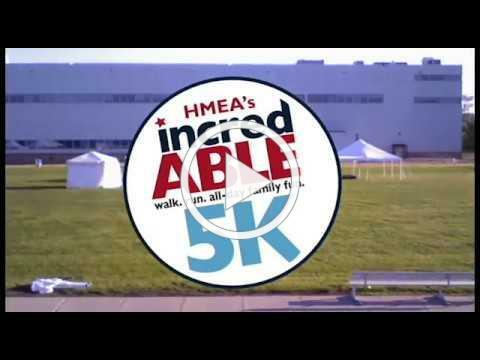 Register for HMEA's incredABLE 5K today! Exciting News! The Red Sox Showcase will be at the incredABLE 5K again this year, thanks to a generous $15,000 sponsorship by the incredABLE Rockland Trust Charitable Foundation! The Red Sox Showcase, powered by T-Mobile will bring Red Sox baseball and Fenway Park to towns across New England all summer long. The truck will carry a batting cage, pitching stations, a steal 2nd challenge, and a virtual reality experience. Save time, download your waiver and bring it with you, click here. Registration will be available the morning of the event at the Registration Tent. Only REGISTERED PARTICIPANTS who raise $25 will receive a special FUNDRAISER GIFT. A beautiful HMEA beach towel to enjoy this summer! Fidelity Bank will be at the incredABLE 5K with their ice cream truck, The Frosty Flyer, giving out FREE ice cream treats, while supplies last. They also gave a generous $2,500 sponsorship to the event! Thank you Fidelity Bank for being an incredABLE supporter!